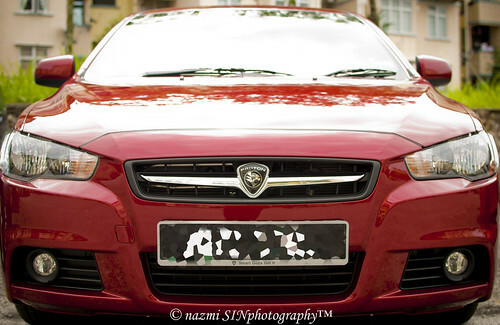 After all the drama & torment of waiting due to Customs & JPJ, finally i got my car aka the Proton Inspira yesterday. "Is it really a Lancer?" "How much is Proton stuffs?" Kinda loving being the center of attention actually because I think i may be the 1st person in Ampang area to receive that car. A friend even joked "You must be an UMNO guy!" For a test drive, it's relatively a short drive from Ampang to Putrajaya. I can only realistically compare it to my previous car which is the Satria Neo. Bear in mind, there are other better drivers out there, i'm just a plain normal driver,so my thoughts are based on that. so i just minded my own business & let him pass.. In terms of engine performance, i think most of u already know how good it is right? Another thing is about the tinted, i think it's just medium level,acceptable, but can be better..